Although he is considered to be one of the best essayists of the 20th century, most people recognize George Orwell for 1984 – one of the most intriguing futuristic books ever written. It’s not intriguing because it presents one man’s visualization of the future. It’s valuable because most of it came true. When this book first came out, it frightened people. Since the book was published in the middle of the 20th century, the year 1984 appeared too close. It made people think: is this really going to happen? It didn’t happen then, so the year in the book’s title was Orwell’s biggest mistake. In the 80s, we were reminded of Orwell’s 1984 through a TV spectacle called The Big Brother. That was a benign threat to our society. However, now, in 2017, we are living a reality that’s dangerously getting close to the one the author described. By being connected through the Internet, we expose our privacy, bills, interests, and our entire lives. When Edward Snowden exposed the US spying scandal in 2013, we became aware of another something else: when we’re not willingly sharing information, governments get it anyway. That’s how we’re living Orwell’s 1984 today. George Orwell wrote a political fiction. With this novel, he expressed his fear of totalitarianism and the direction it was taking the society to. He envisioned a future where people believed what the media told them to believe. They have a naïve approach towards information and accept it without processing it from a critical point of view. 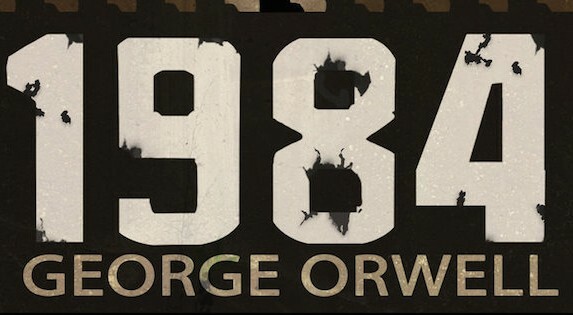 At the beginning, 1984 made people think, but it was still approached as fiction. The title was just a number, just a year. However, the theme of the book was also falsely approached as a critique to totalitarianism only. As it turned out, this book questions the values of all societies, including the democracy we used to idealize so much. During the 1980s, when 1984 was supposed to achieve its full glory, its essence was diluted. People were associating it only with The Big Brother, a TV show that everyone was watching. The symbol of omnipresent dictatorship and a government that watches us started losing its frightening power. Shortly after the craze with this show that no one took seriously, the world became addicted to the Internet. Now, we didn’t need the TV to enjoy the mania of observing other people’s lives, cheering for them and judging their actions. Social media gave us a chance to observe everyone we know and don’t know. Moreover, it made us all part of that craziness. We are not only watching, but participating, too. We share what we do, what makes us happy or sad, where we are, and who we are with. We willingly disclose information for other people to see and judge. We are the main characters of our own Big Brother show. Google and other companies are mapping out the Earth. They are recording the location of our homes and exposing it online. We didn’t give individual permissions for that. Today, every single citizen’s privacy is affected, whether or not they are part of the social media craze. Although democratic societies are not totalitarian like the society described in Orwell’s 1984, they are still part of the monitoring system. In fact, they are its foundation. Although there are independent sources that warn the citizens about their privacy being affected, they don’t get much attention. They may make people think for a minute, and then they continue with their usual daily practice: click and scroll, click and scroll… They are exposed to false and incomplete information that manipulates them to believe what governments want them to believe. Edward Snowden exposed a fact we all suspected: everyone privacy is affected, and they make us think it’s for a greater good. The scariest thing is that the US government did not ask for its citizens’ permission to engage in monitoring for a greater good. Where is the democracy in that? Public exposure of the scandal was not Snowden’s first choice. He wanted to change the system from the inside, but soon realized he stood no chance against it. He patiently waited for the changes Obama’s administration promised, but he was finally convinced that politicians only make vague promises. No matter who the President is, the main policies remain the same. Just like in Orwell’s 1984, this is a sustainable, powerful system that consumes the citizen’s privacy for ‘a greater good’. The world was shocked by Snowden’s revelations and we all realized we were living in the society that Orwell was afraid of. People were shocked to find out that governments were monitoring their online activities and listening to their conversations. No one could stay indifferent to such realization. However, the media spins that presented Snowden as a traitor and a spy effectively separated the public opinion in two extremes. Being immerged in that debate, people forgot to hold their governments responsible for illegal monitoring and abuse of personal information. Years after realizing that we were being watched, nothing has changed. People continue with their scrolling and clicking, and they are exposing their privacy through social media more than ever. They are aware of the things their governments are doing, but still… nothing changed. Now, more than ever, we’re part of the society that Orwell envisioned. We gave our silent permission for it.